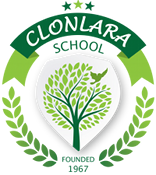 Clonlara School Campus Program is a SEVIS certified school that can issue the paperwork (Form I-20) for an international student to apply for an F-1 visa. We welcome the opportunity to discuss a match between an international student and our campus program. Having international students enriches the learning community and allows all students an opportunity to participate in something unique. We learn from each other!! This process can take up to 6 months for some countries.